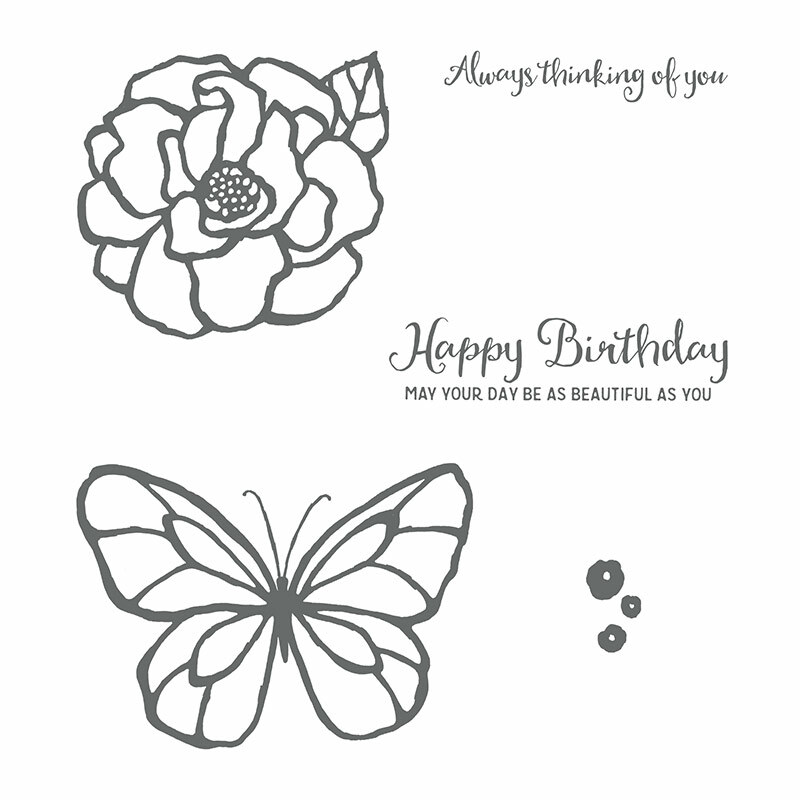 I was inspired for this week’s challenge to create with the new Beautiful Day stamp set found in the Occasions catalog. There are two large images of a flower and butterfly perfect to color with markers, watercolors or the new Brusho Crystal Color powders. This week’s challenge at Hand Stamped Sentiments is a color challenge of Real Red, Perfect Plum and Cherry Cobbler. I stamped the butterfly with Versamark onto Vellum cardstock then heat embossed with black embossing powder. I then used the stained glass technique to color the butterfly with Stampin’ Write markers then fussy cut. I again stamped the butterfly with Versamark onto the Whisper White layer then repeated the same marker colors. I then used mini glue dots to adhere the Vellum butterfly to the center of the butterfly embossed on the Whisper White. To embelish I used basic rhinestones to and die cut 1/2″ circles in Perfect Plum cardstock. I also sponged Dazzling Diamonds with Perfect Plum ink and die cut circles with the retired Itty Bitty Shapes Punch Pack and layered over the Perfect Plum circles. Go to Hand Stamped Sentiments and see more inspiration for this color challenge. ‘Tis the season for snowflakes and Christmas. On Thursday something rare happened…it snowed in San Antonio. We got about 2 inches of snow and for about a day we had a glimpse of a white Christmas. It was lovely. The snowfall inspired me to create Christmas card based on the color challenge of Bermuda Bay, Calypso Coral, Daffodil Delight and Lemon Twist. I used these the snowflake dies from the Seasonal Layers Thinlits to die cut the snowflakes from Silver Glimmer paper then sponged them with Calypso Coral, Daffodil Delight and Lemon Twist. The background layer I embossed with the Softly Falling Embossing folder. I embellished with basic rhinestones, gold satin ribbon and gold sequin trip. The sentiment is from the Christmas Pines stamp set which I stamped with Black and embossed with Iridescent Ice embossing powder for sparkle. See more inspiration at Hand Stamped Sentiments from their design team. Inspired by Hand Stamped Sentiments and Hallmark Christmas movies I created this card with the Sleigh Ride Edgelits and Jingle all the Way stamp set. The Pool Party layer I embossed with the Gently Falling embossing folder. I used strips of Whisper White and Vellum to die cut the town, trees and sleigh. I used Dazzling Diamonds Glitter to accent the hills and roofs. For the sentiment I used heat stick powder and embellished with Dazzling Diamonds Glitter. I also die cut a star from Dazzling Diamonds Glimmer Paper. To wrap it all up I used 1/8″ silver ribbon and basic rhinestones. See more inspiration at Hand Stamped Sentiments for this Christmas inspiration challenge. My card this week has been inspired by Hand Stamped Sentiments sketch challenge and all the Christmas movies I’ve been watching on the Hallmark channel. Every year as part of preparing for the holidays I watch Christmas movies on the Hallmark channel. All the movies seem to start with a beautiful snowy setting which made me think snowflakes which made me think the snowflakes from the Seasonal Layers Thinlits Dies. This die set is so versatile because it has images for every season. It contains three different snowflakes which I die cut from Whisper White, Silver Foil paper and Dazzling Diamonds Glimmer paper. I used Smoky Slate for the background layer and embossed the Whisper White layer with the Softly Falling Embossing Folder then added the 1/8″ silver ribbon in a swirl pattern using glue dots. I then adhered the snowflakes to create my snowy scene. The sentiment ‘Tis the Season to Sparkle’ is from the Season to Sparkle stamp set which I die cut from retired Scallop Oval Punch. For more sparkle I added rhinestones and silver sequins. Go to Hand Stamped Sentiments to see more inspiration from the design team. OOOH! OOOH! SPOOKY is what I was going for with the card I created with the Graveyard Gate bundle. Inspiration for my card came from the Inspiration Challenge at Hand Stamped Sentiments. I sponged Daffodil Delight, Pumpkin Pie and Rich Razzleberry for the sky then sponged Smoky Slate on the bottom to create the graveyard. I then stamped the headstones and bats in Momento Black. I used an adhesive sheet to die cut the gate so I could easily adhere the gate to the front of the card. For the sentiment I die cut a circle with the 1-3/8″ punch and sponged it with Daffodil Delight and Pumpkin Pie then stamped the sentiment with Momento Black. For extra sparkle I colored around the sentiment with Clear Wink of Stella. The lock and key I die cut from silver foil. Now… try to open the graveyard gate if you dare. For more inspiration go to Hand Stamped Sentiments and see more projects from the design team. I finally got the opportunity to create with the Pocketful of Sunshine stamp set and framelits. I love how you can create a pocket and decorate it. I die cut the card from Night of Navy, stamped with Versamark and heat embossed with gold embossing powder. 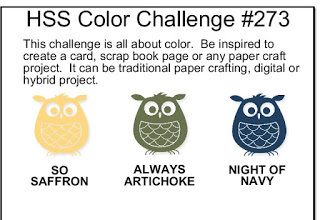 The card I created was inspired by the Hand Stamped Sentiments Color Challenge of So Saffron, Always Artichoke and Night of Navy. I’m also loving the Daisy Delight bundle. I love how the punch coordinates with the daisy stamp to create these beautiful daisies. I used them to decorate the pocket. I also added the leaves from the Rose Wonder and Flourish Thinlets. The centers of the flowers were heat embossed with gold embossing powder. For more sparkle I colored the petals of the daisies with clear Wink of Stella. The background is glossy paper sponged with Always Artichoke. 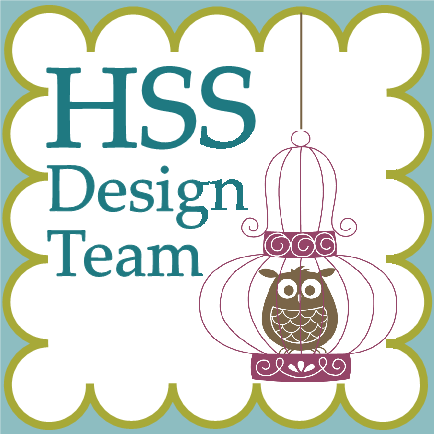 Head over to Hand Stamped Sentiments and see more inspiration from the design team.